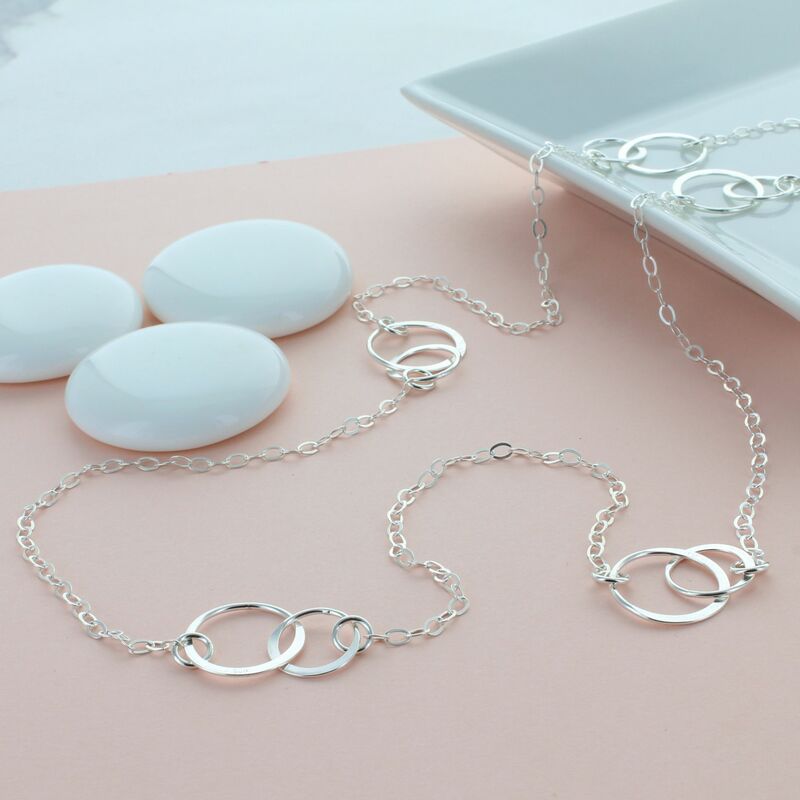 A stunning long sterling silver necklace featuring six sterling silver infinity links. The long silver infinity link necklace is a classic piece that could accessorise any outfit in the day or the evening. It is designed to be worn alone or layered with other pieces. A perfect birthday, anniversary or even thank you to your bridesmaid on your special day. 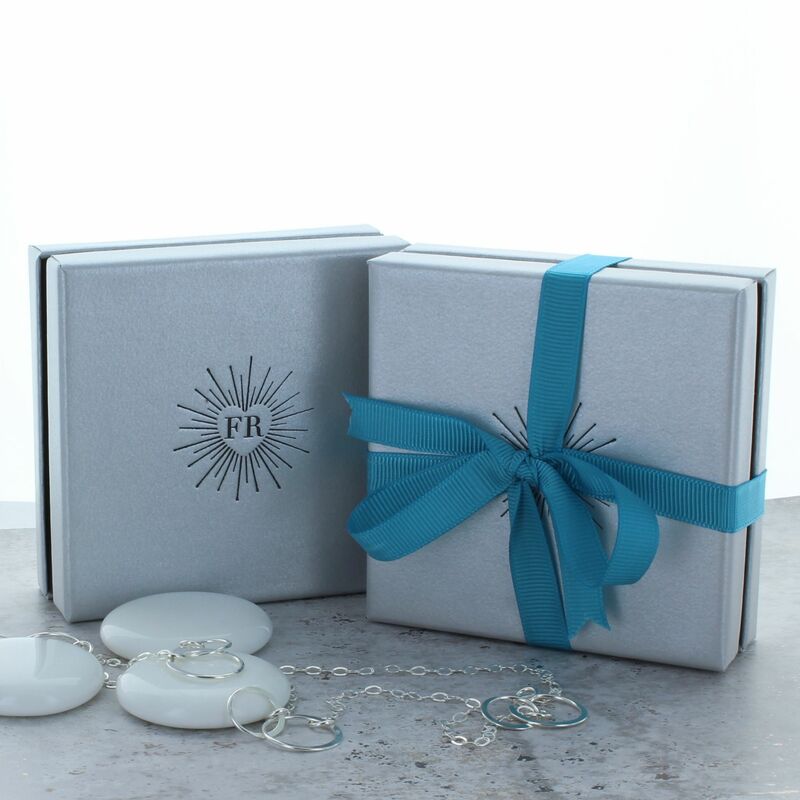 Each necklace arrives in a beautiful silver and contrasting black box.